CHICAGO - The Twins and White Sox finish their two, er, three-game series with a 1:10 p.m. start at Guaranteed Rate Field today. Chicago won Monday at Target Field in a makeup game before the Twins prevailed 5-2 on Tuesday night. The 2019 schedule was released this morning, by the way. 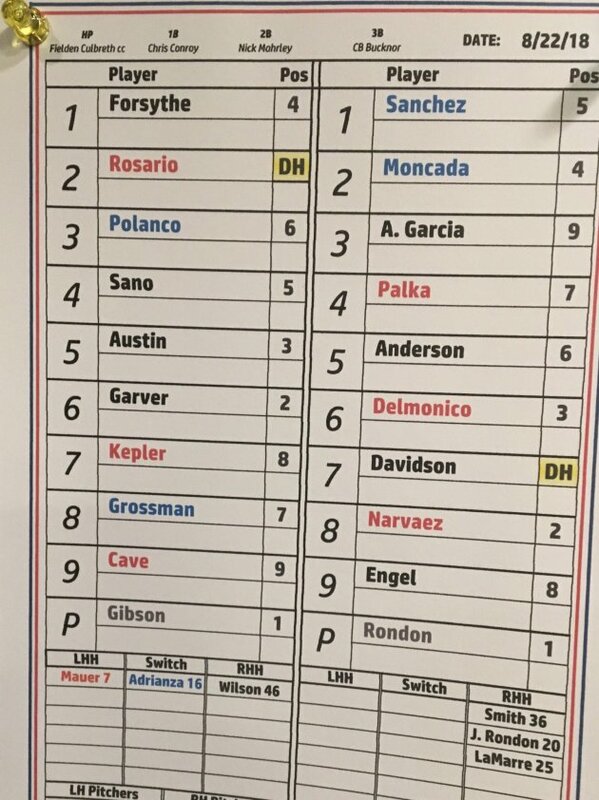 Kyle Gibson (7-9, 3.51 ERA) pitches for the Twins today against Carlos Rodon (4-3, 2.69). In case you missed it, Tyler Austin of the Twins distanced himself from his father's tweets that were dismissive of the Yankees keeping Greg Bird and letting Austin go.